A friend asked me last week, “What are you reading lately? You haven’t posted much.” Sigh. She is right. I haven’t posted much about what I’ve been reading because apparently my selections have been pretty sub par lately. I’ve started and not finished three books in the last three weeks that were maybe not my type of books or maybe just awful books. Essie can tell from the moment she lays eyes on Harriet Abbott: this is a woman who has taken a wrong turn in life. Why else would an educated, well-dressed, clearly upper-crust girl end up in the Triangle Shirtwaist Factory setting sleeves for six dollars a day? As the unlikely friendship between Essie and Harriet grows, so does the weight of the question hanging between them: Who is lost? And who will be found? The other book I picked up off the YA table was a complete bust. When Audrey Met Alice drew me in with the promise of including snippets of Alice Roosevelt’s diary. I’ve always thought her an interesting person in American History. 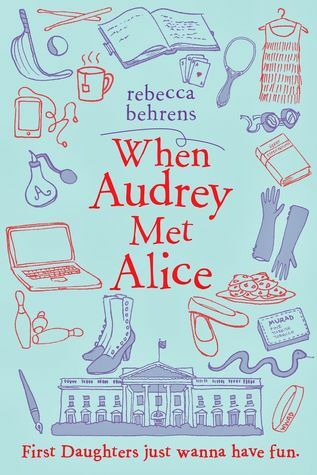 However, the now-and-then setting of this book was terrible–Audrey is the current First Daughter and her mother is President. She is struggling with some petty teenage troubles and when she finds Alice’s diary, she turns to it for comfort and ideas on how to cope. I held out hope that the book would get better when Alice’s part came in, but as soon as excerpts from Alice’s diary became part of the story, it was clear that the diary was all made up. The language was all wrong, the opinions were far fetched, and the writing style was not at all what it would have been if Alice Roosevelt had actually written it. I turned to the back of the book and, sure enough, there was the disclaimer stating that the diary was actually written by the author. I would have been spared a lot of wasted reading time if that disclaimer had been at the beginning. I wouldn’t recommend this book for adults or young adults. 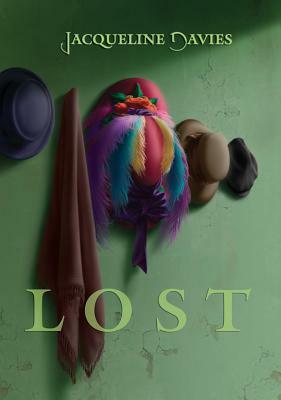 Finally, I tried out my first Anna Quindlen book and downloaded Still Life With Bread Crumbs from my library’s eBook site. Quindlen is clearly a writer whose strength is imagery. I thoroughly enjoyed her word pictures and the way she describes her main character’s renowned photography. However, this character driven novel didn’t really have characters that grabbed me. Still, it was an enjoyable read until about halfway through, when the two main characters become love interests. I realize that happens in a lot of books and is often a very good thing, but I couldn’t handle it in this book. It seemed all wrong for the characters and some parts of it were actually wrong. But I can’t say anything bad about Quindlen’s ability to write, because her prose is beautiful. If her book hadn’t included so much infidelity, I probably would be raving about it. I just can’t enjoy books centered on extramarital affairs, or really unhappy marriages. Still, I wish the photographs described in the book really existed–I would probably buy the calendar based on them to hang in my kitchen. So, right now I’m not reading anything. And it’s not a terrible way to live. Any suggestions? Fiction or non-fiction, I’ll take any ideas.